Can Women have gravitas? Of course they can. But what’s it like? How do women (and men for that matter) develop gravitas? 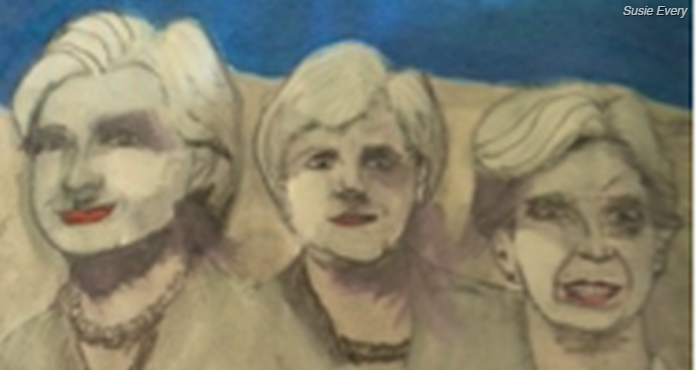 I asked my trusted friend and colleague Susie Every to share her thoughts on this issue, and not only has she published an article on the subject, she also produced this stunning drawing inspired by Mount Rushmore. Click here https://t.co/zznyCfdN7O to read what Susie has to say about how to develop gravitas through presence and projection. I think you will like it.